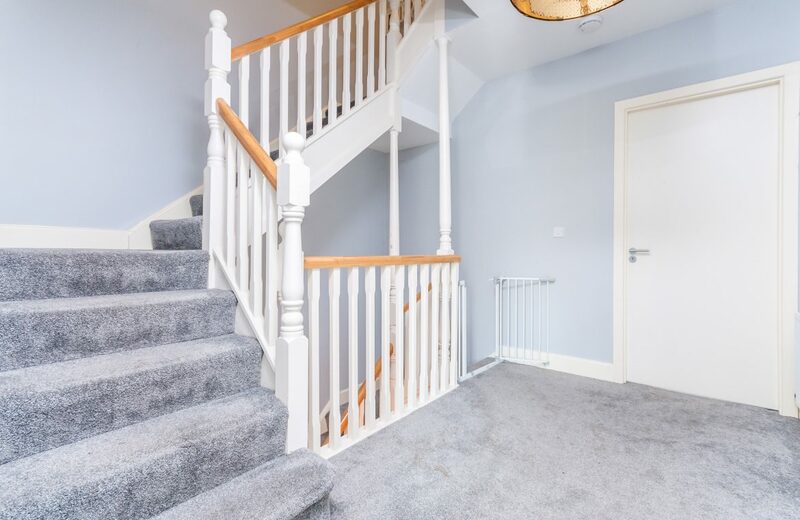 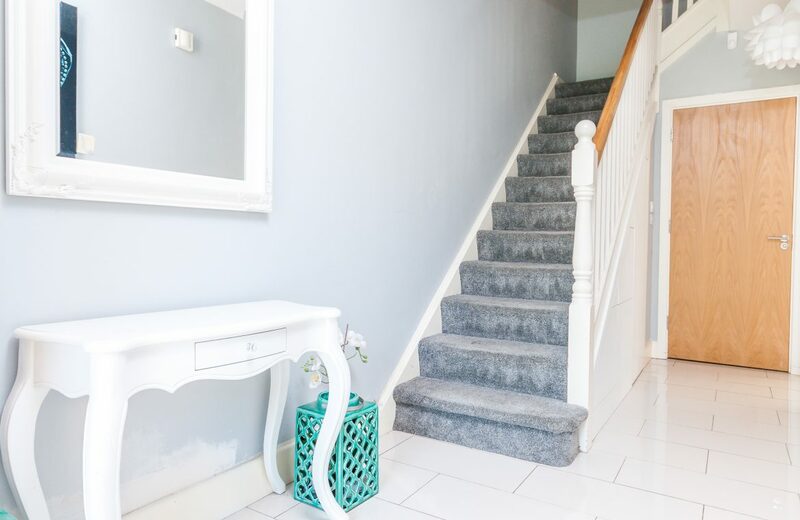 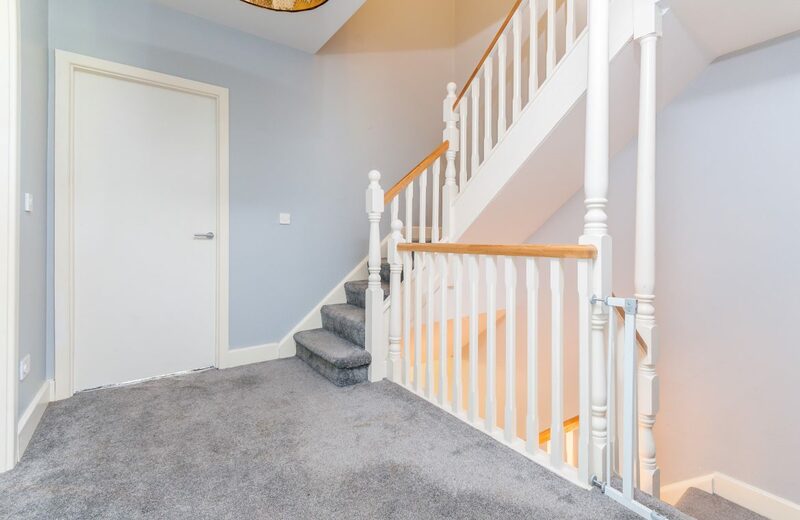 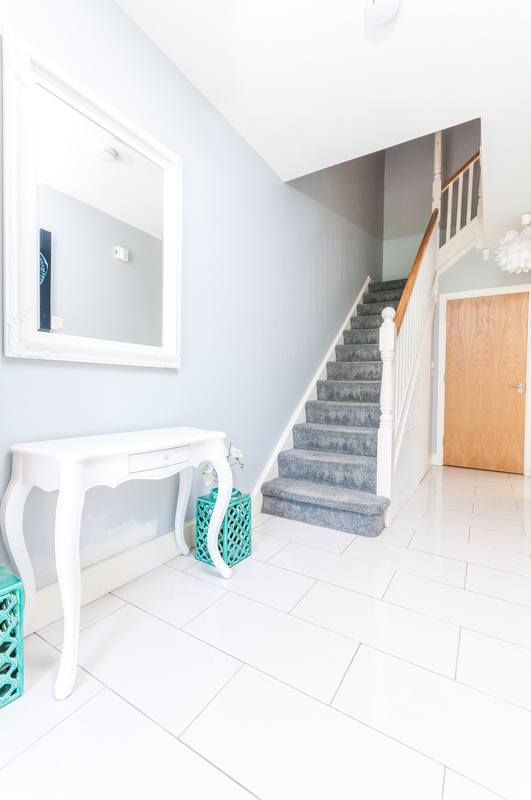 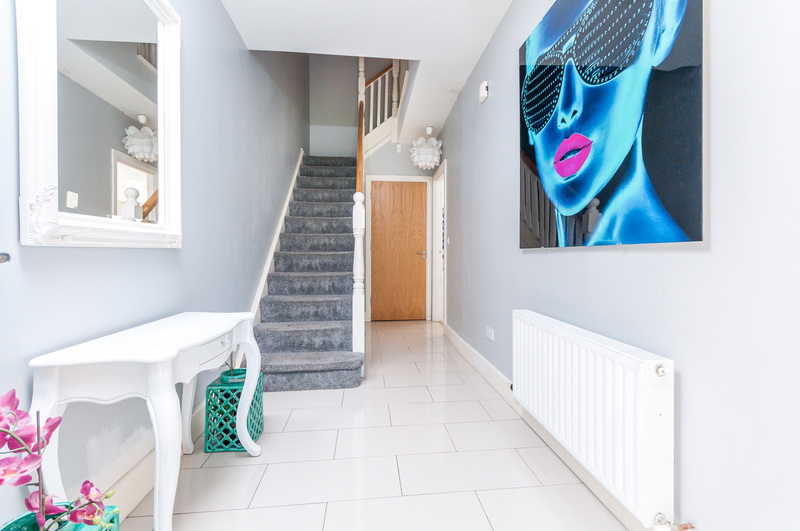 KELLY ESTATES & LETTING AGENTS are pleased to present this beautiful 4 Bedroom, 3 story end of terrace house extending to c. 179 sq. 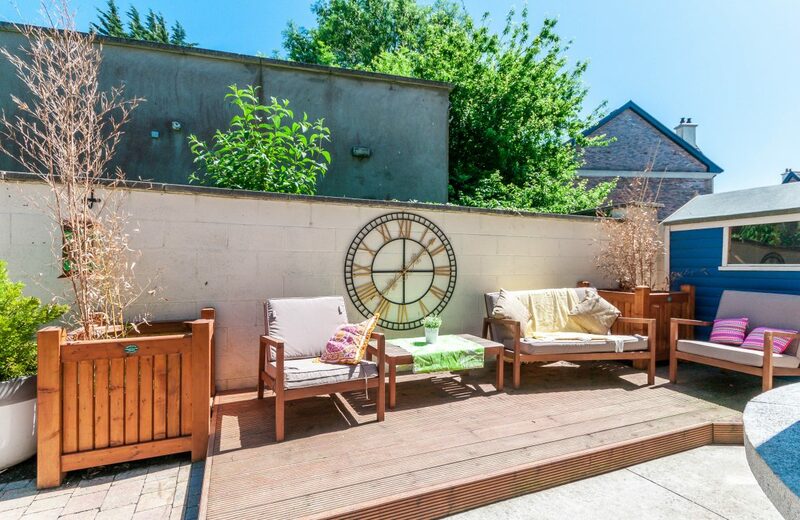 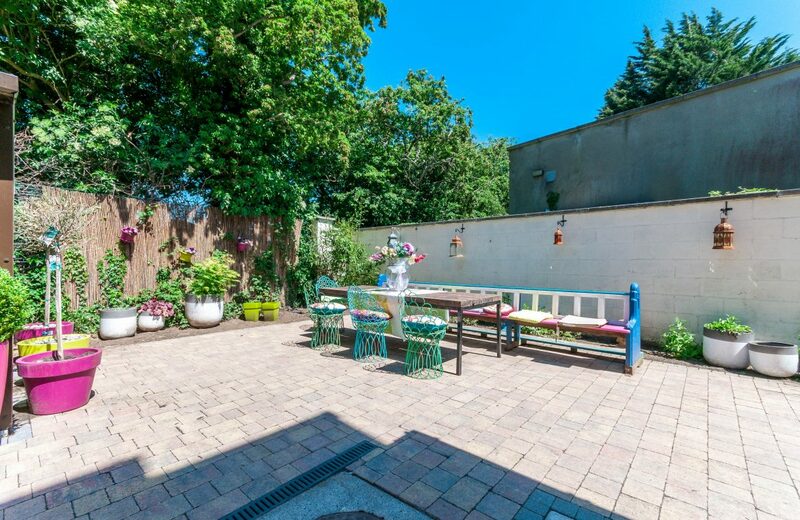 m, with private secure landscaped garden to the market. 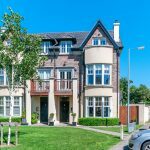 This luxurious property has been decorated to the highest of standards and is located within this sought after development. 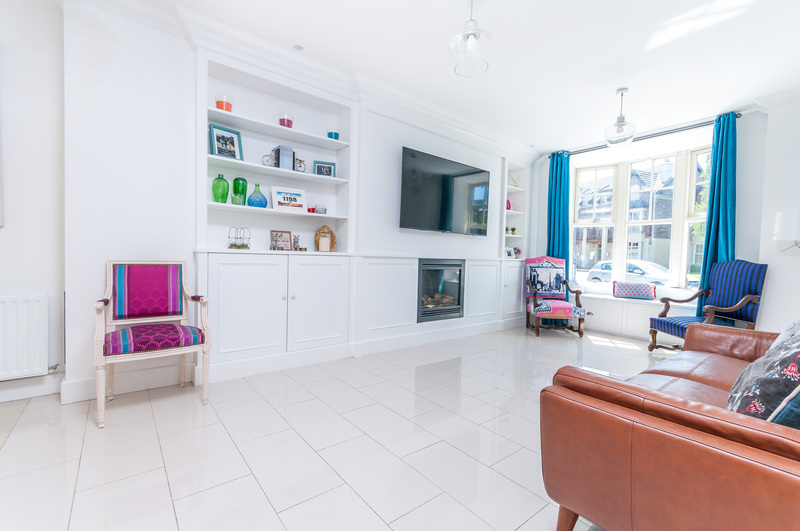 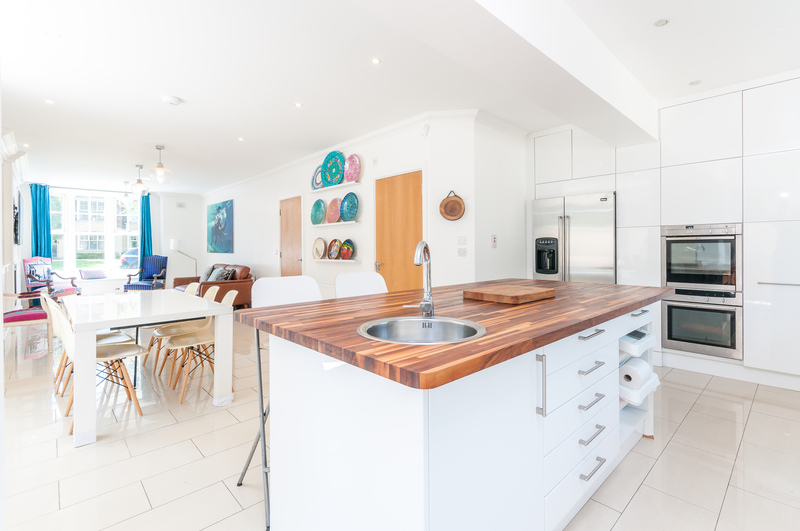 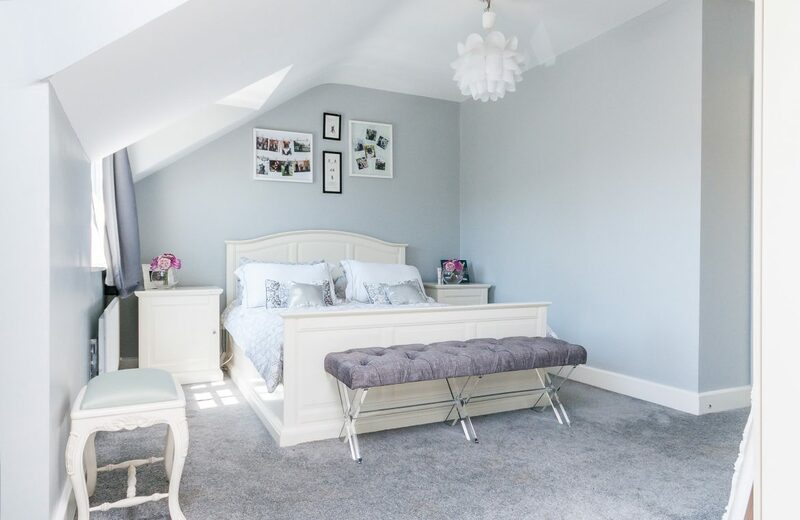 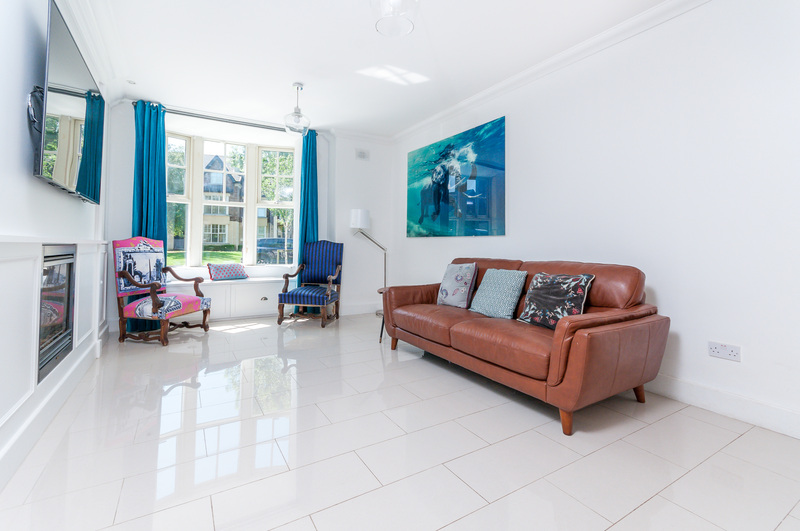 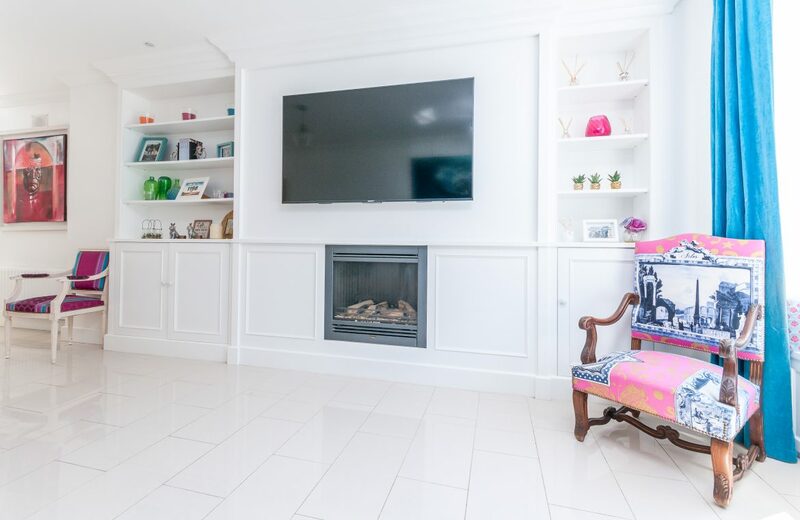 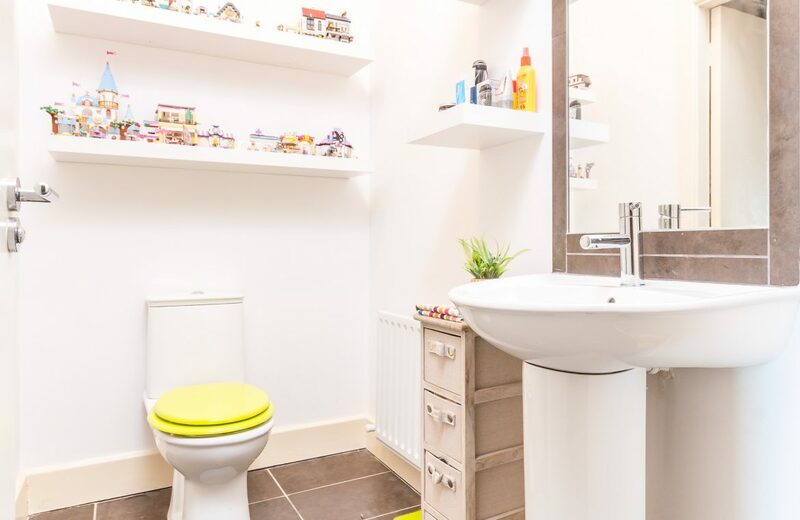 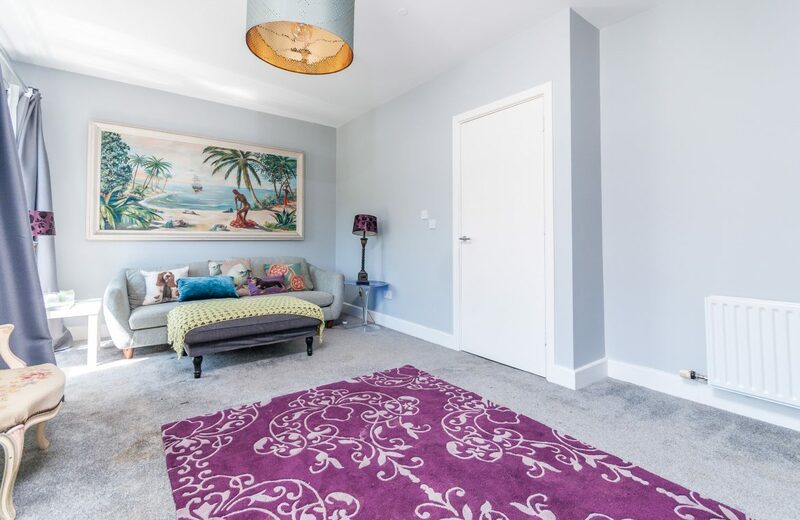 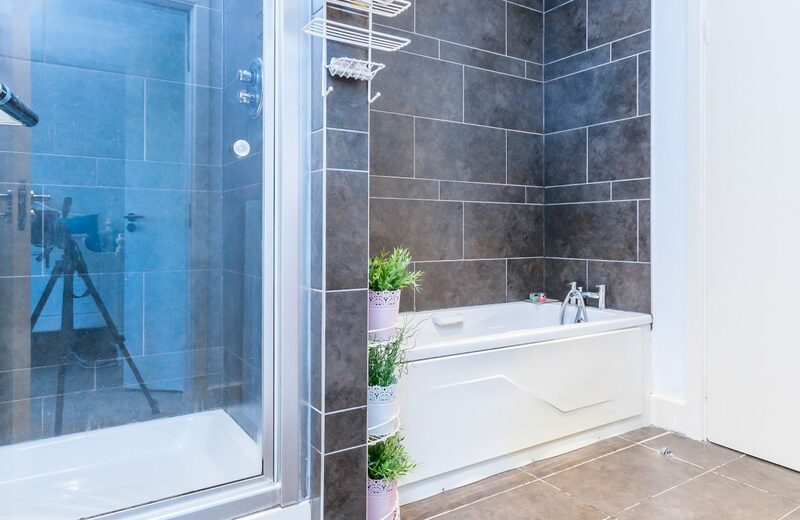 This stunning property is presented in SHOW HOUSE CONDITON and has been lovingly cared for by its current owners, decorated with a contemporary modern finish. 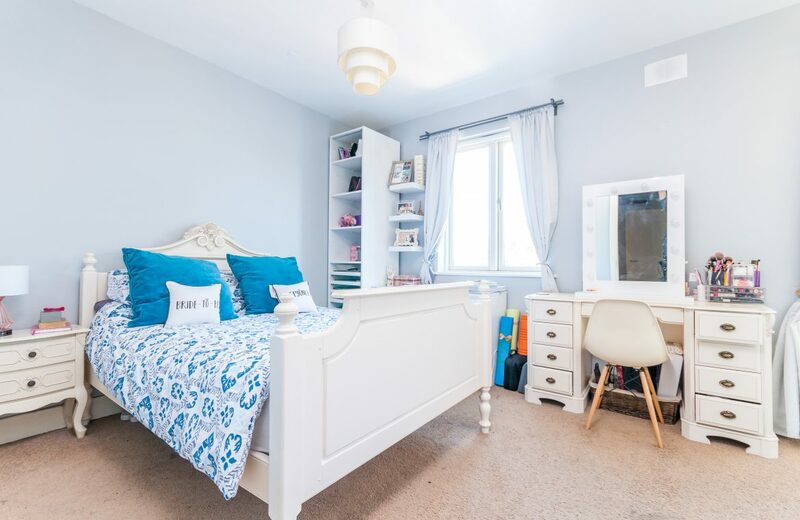 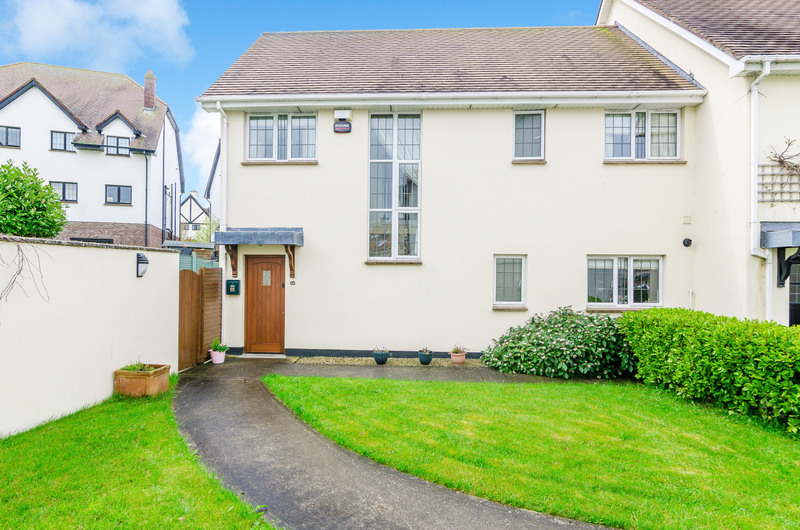 The well appointed, light filled accommodation extends over three storeys, briefly comprising of a large hallway, a guest w.c & a spacious open plan living room, dining room & kitchen with utility room. 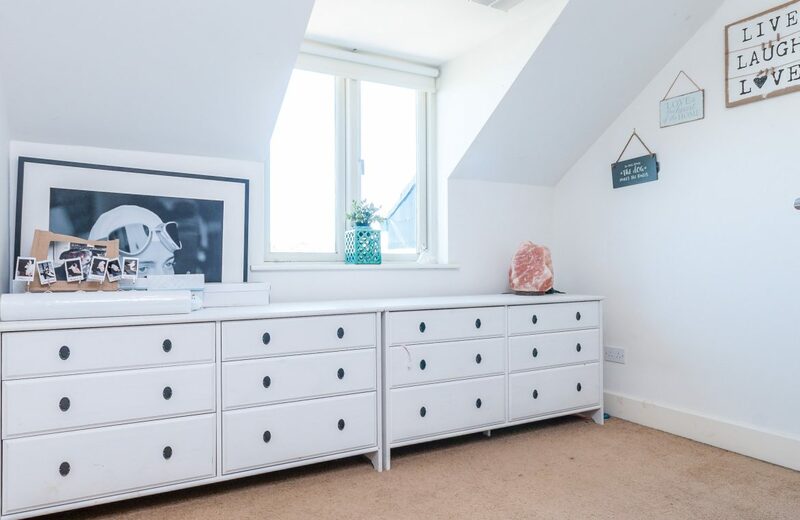 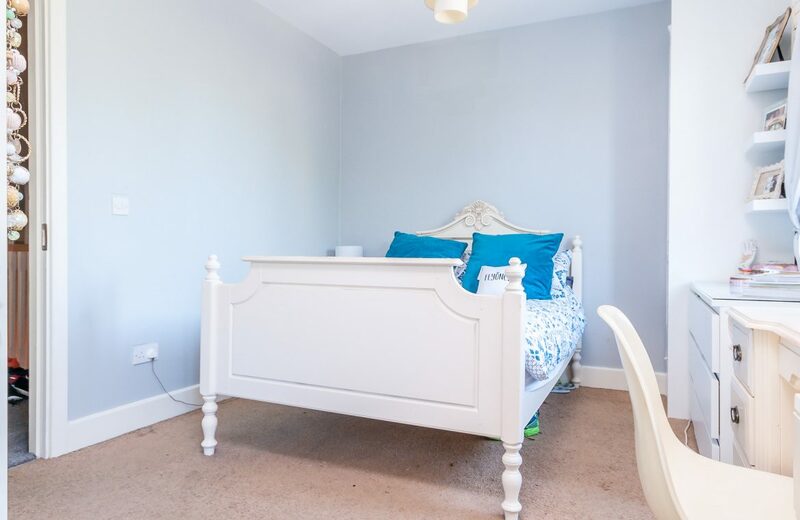 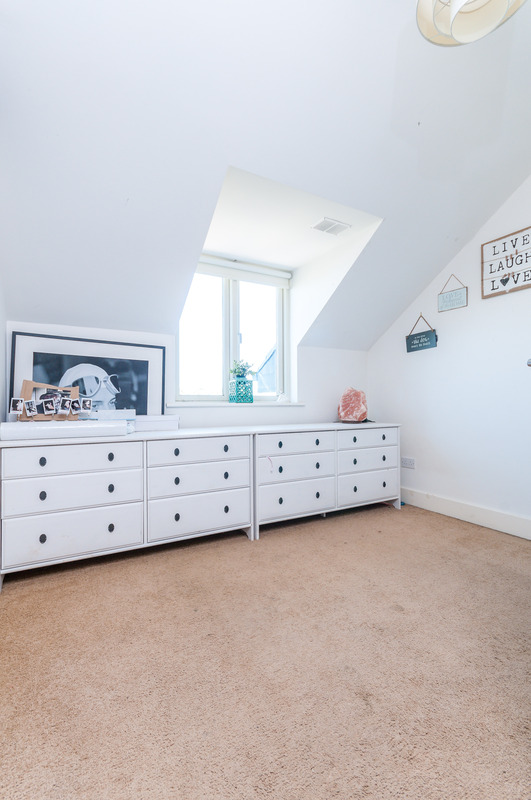 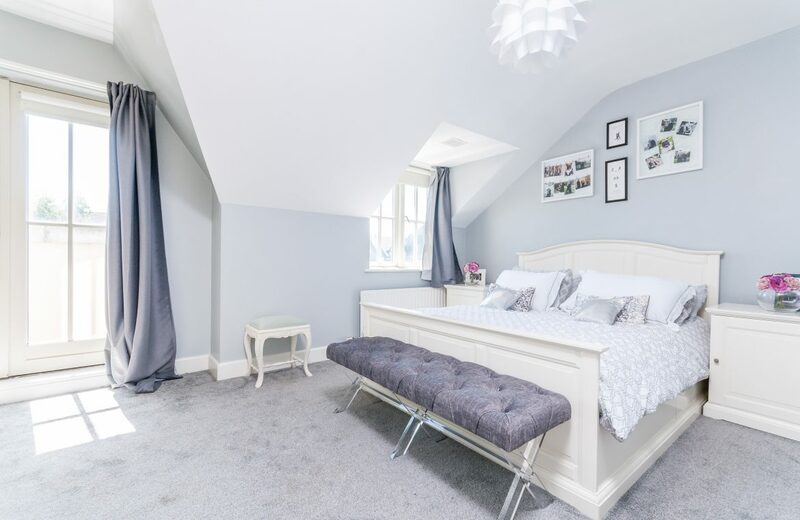 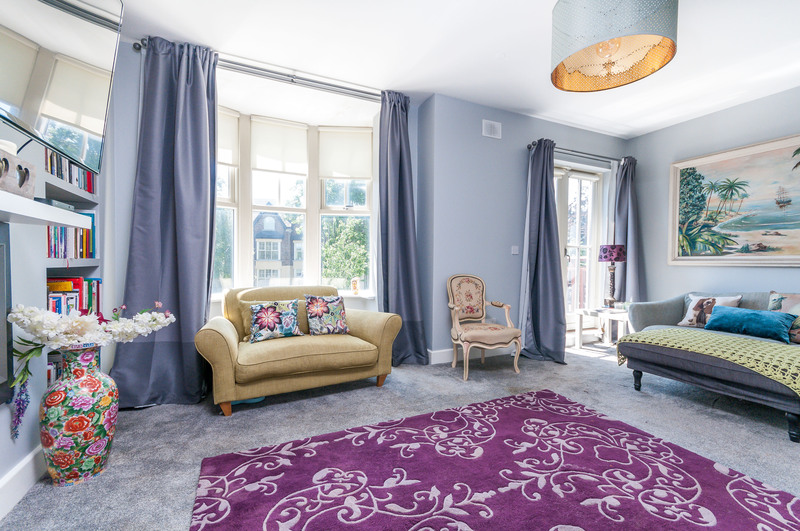 The first floor, consisting of a beautifully designed second reception room with balcony and a large double bedroom with an ensuite & guest w.c. 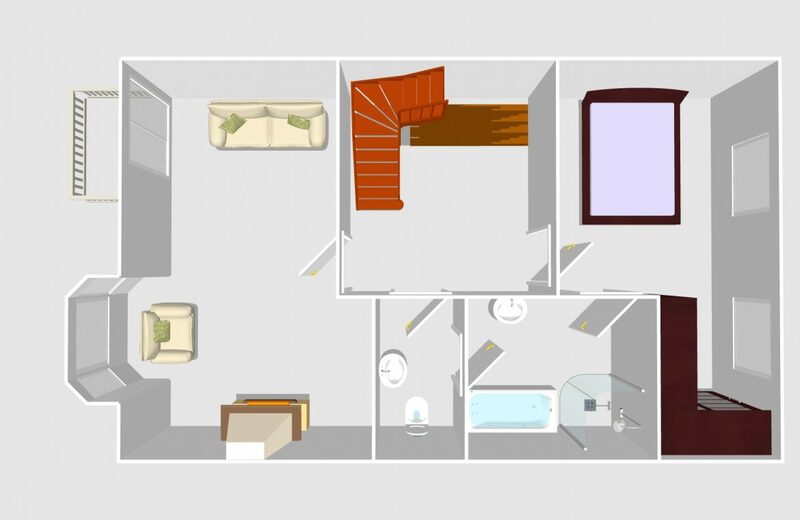 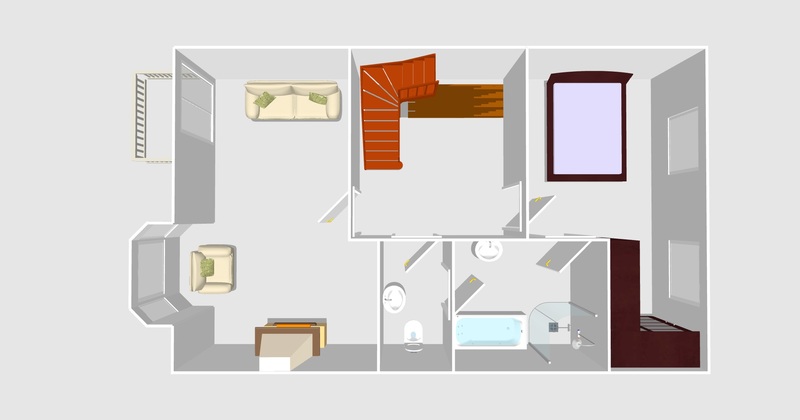 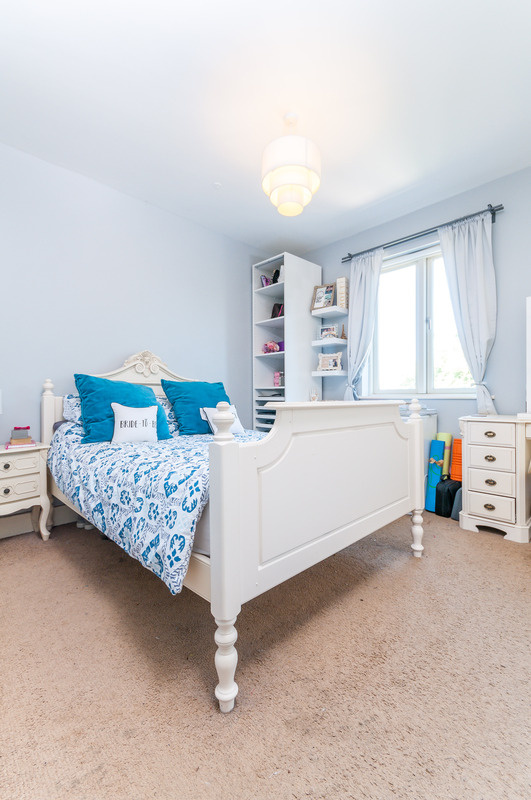 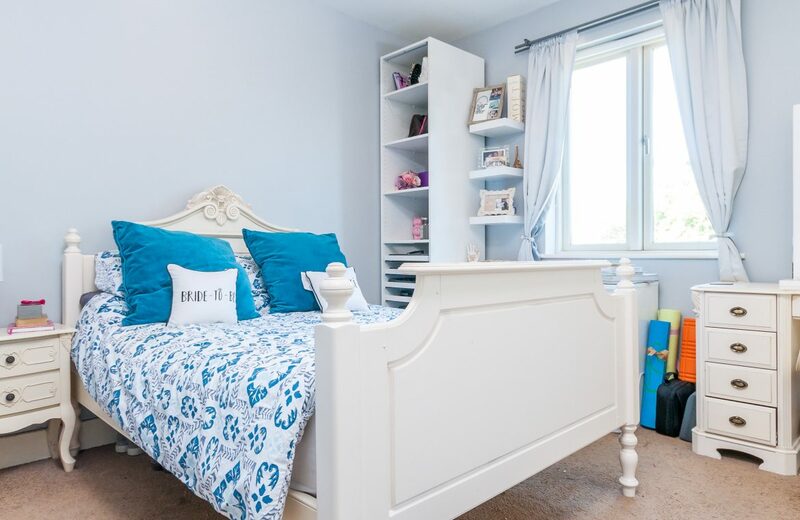 The third floor providing three large bedrooms with main family bathroom and master ensuite & balcony. 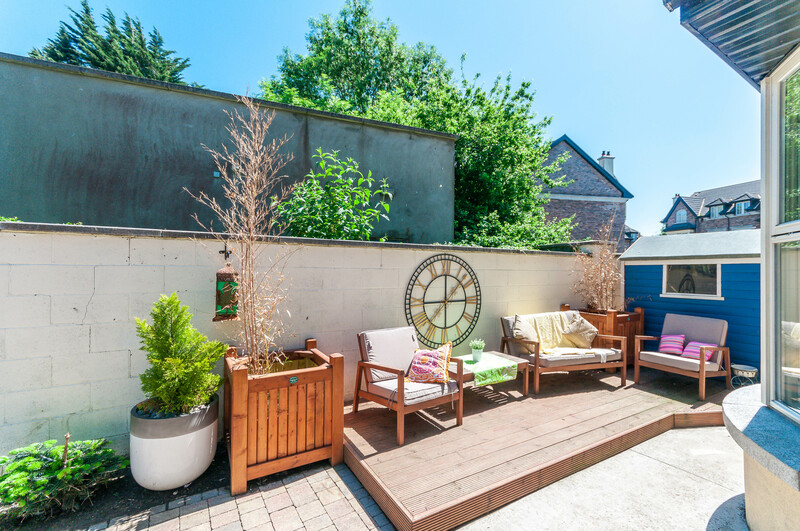 Service charge of €650 per annum covering bins, lighting, bay areas & maintenance of grounds & landscaping. 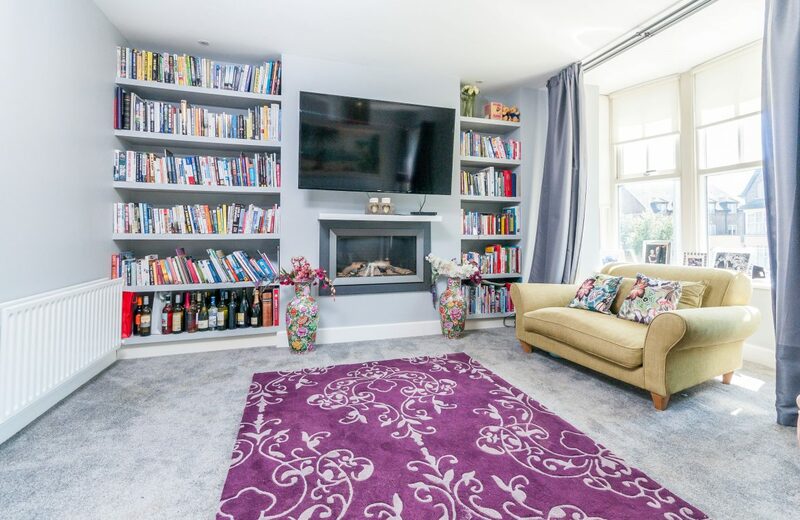 This well appointed property comes to the market in EXQUISITE CONDITION & has been TASTEFULLY DECORATED THROUGHOUT. 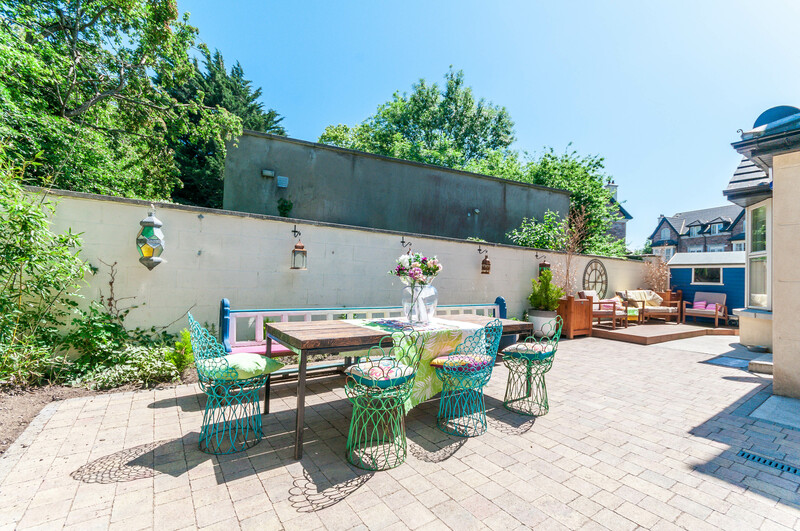 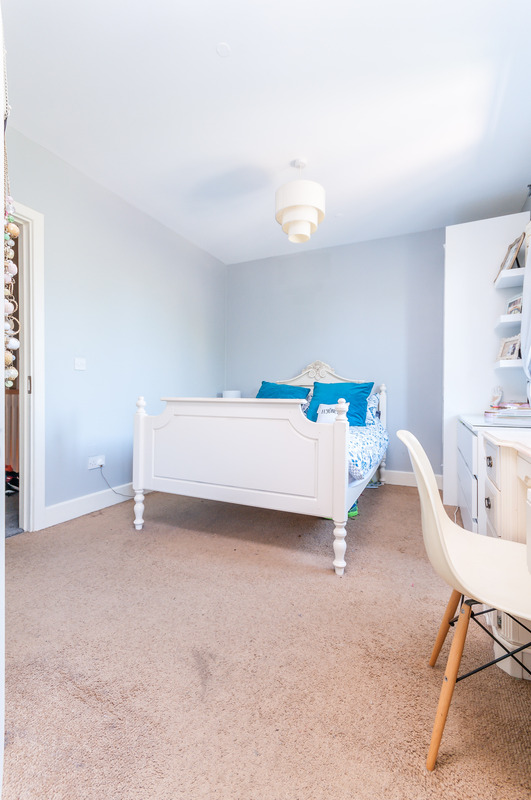 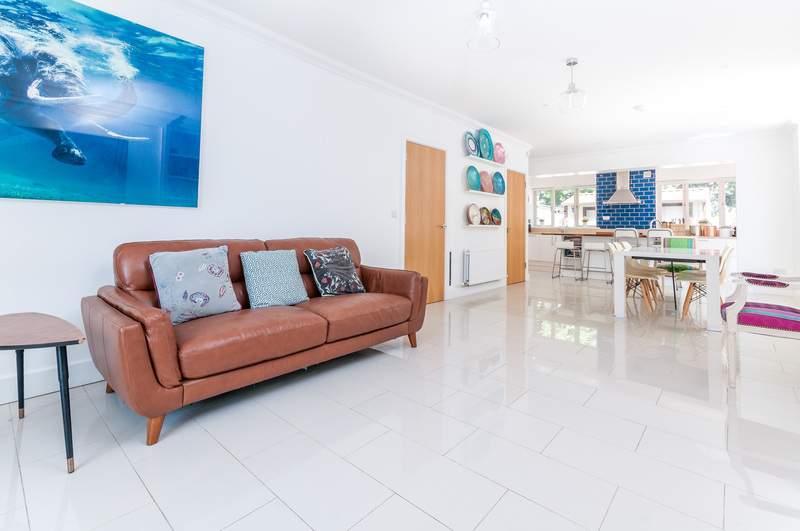 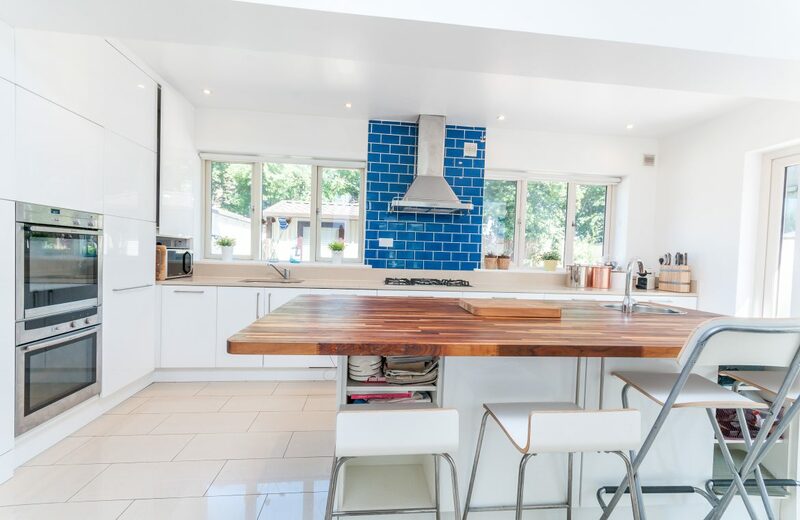 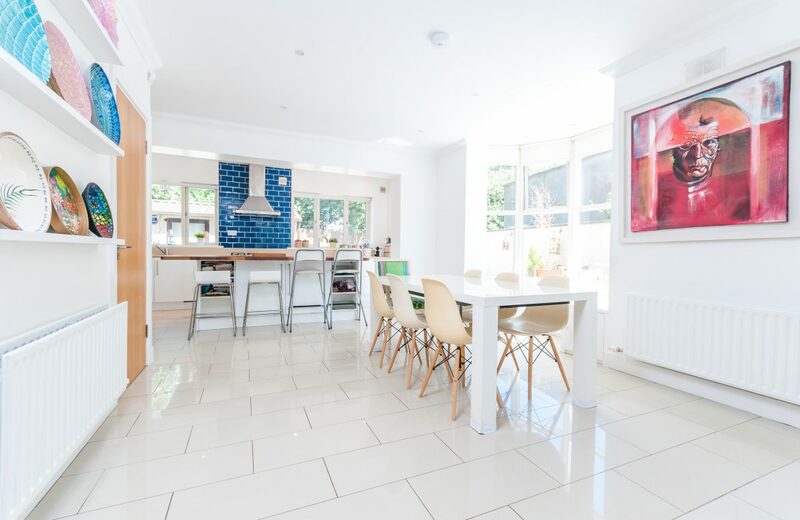 The kitchen is a wonderful open plan spacious room and is sure to be an ideal space to entertain family or guests, further benefitted by the beautifully landscaped fully walled maintenance free rear garden providing extra privacy in the long evenings. 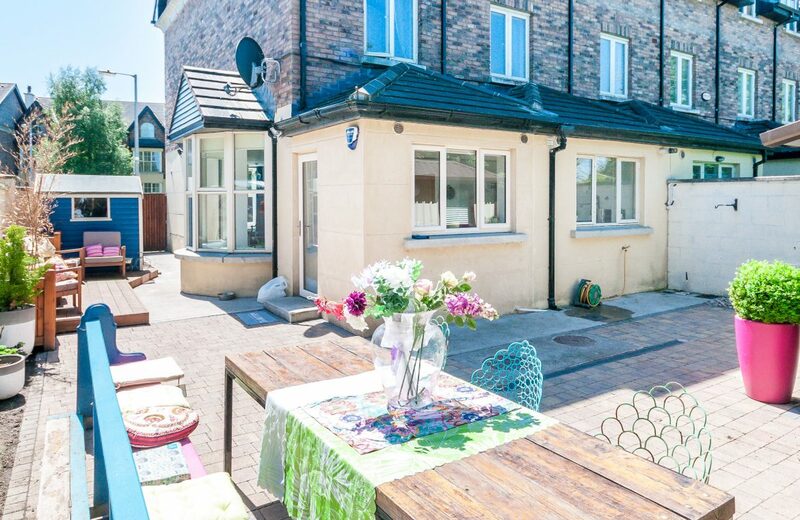 Designated car parking for two cars. 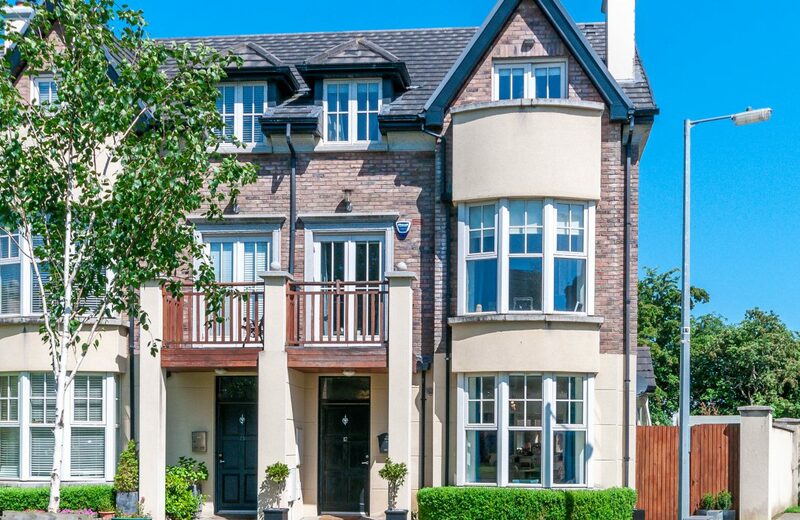 This exceptional home should be viewed to appreciate the quality of finish. 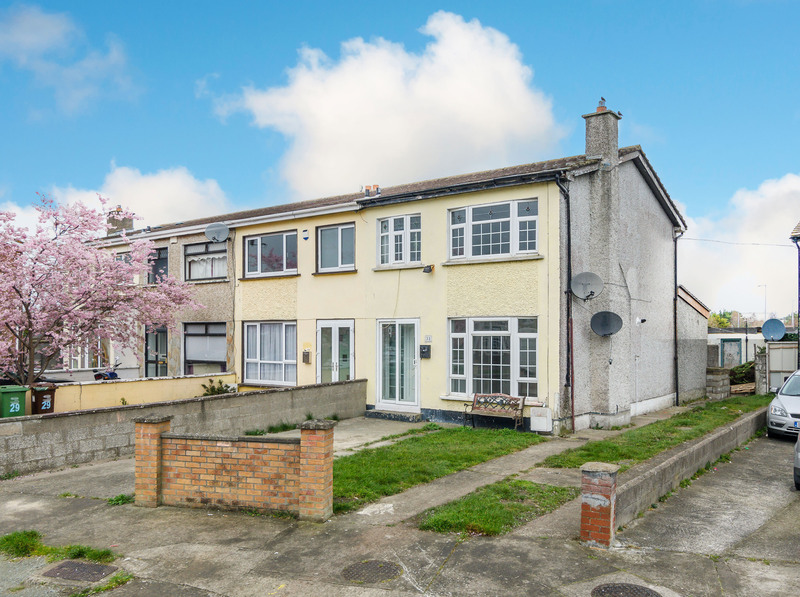 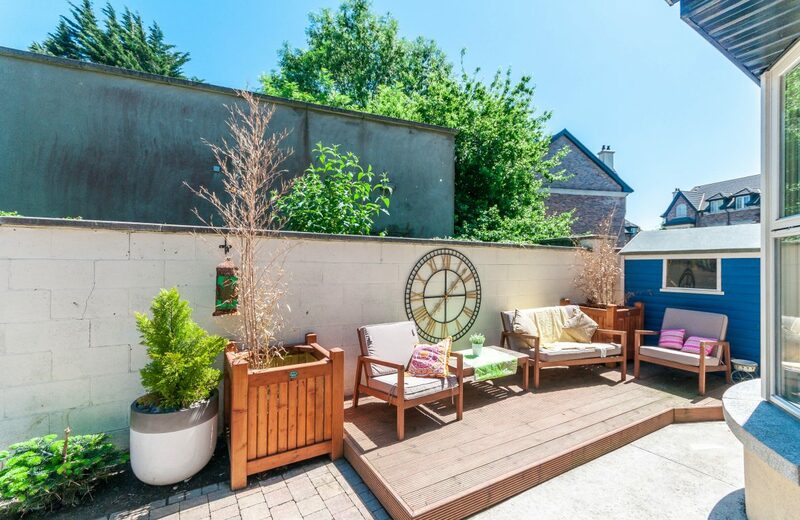 Conveniently situated just off the Old Naas Road & Close to the N7 & M50. 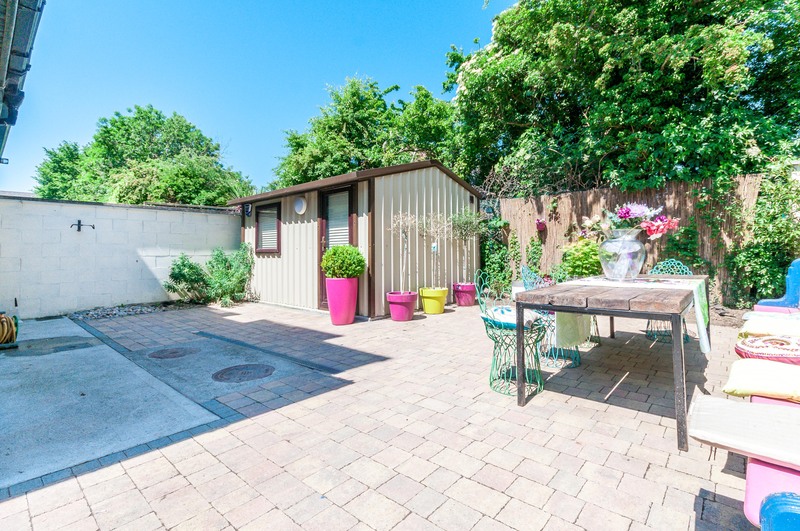 Provides easy access to Dublin City Centre. 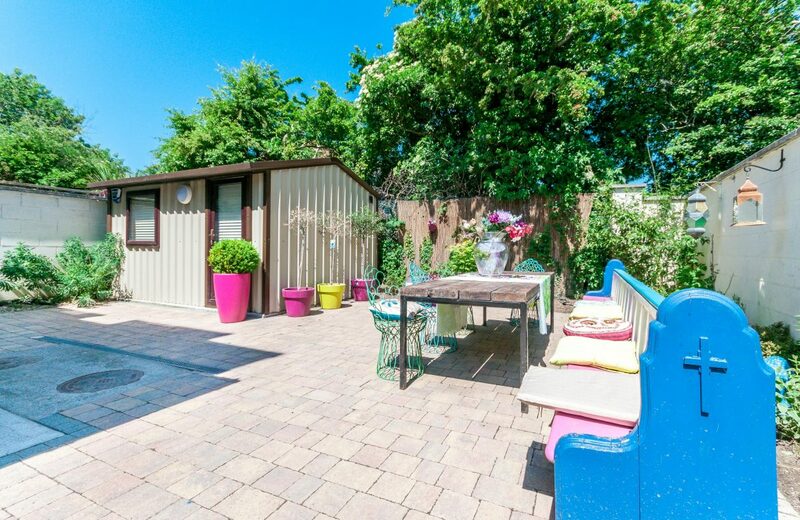 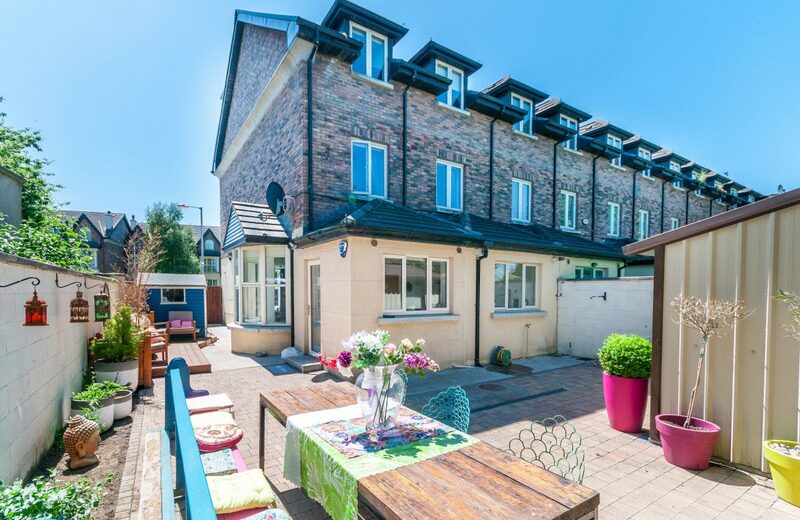 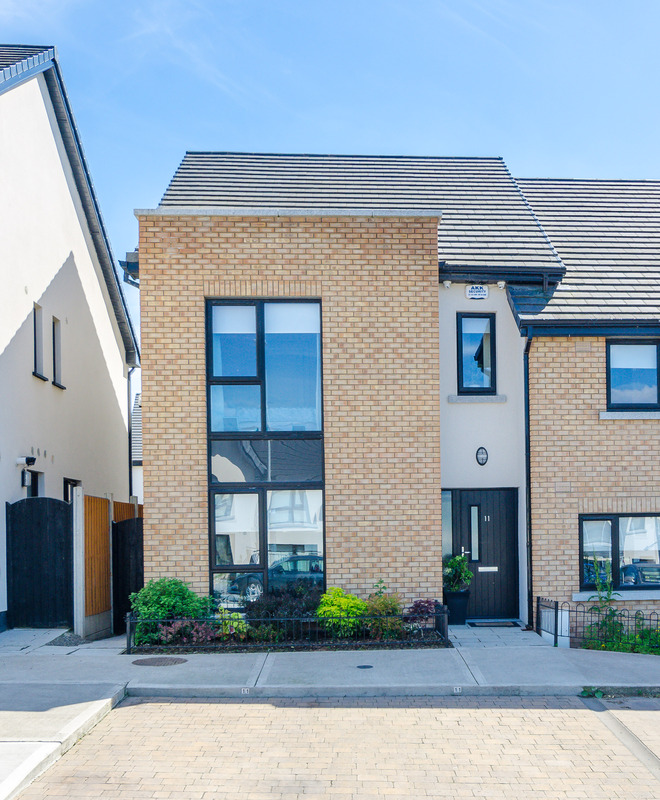 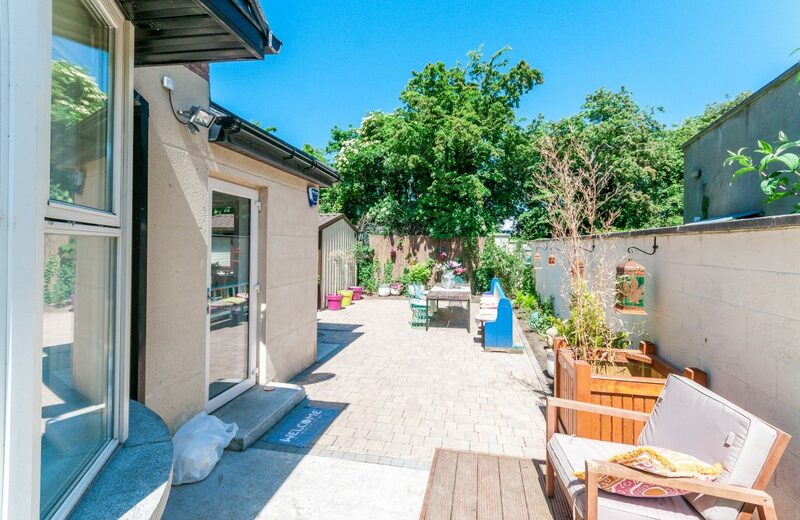 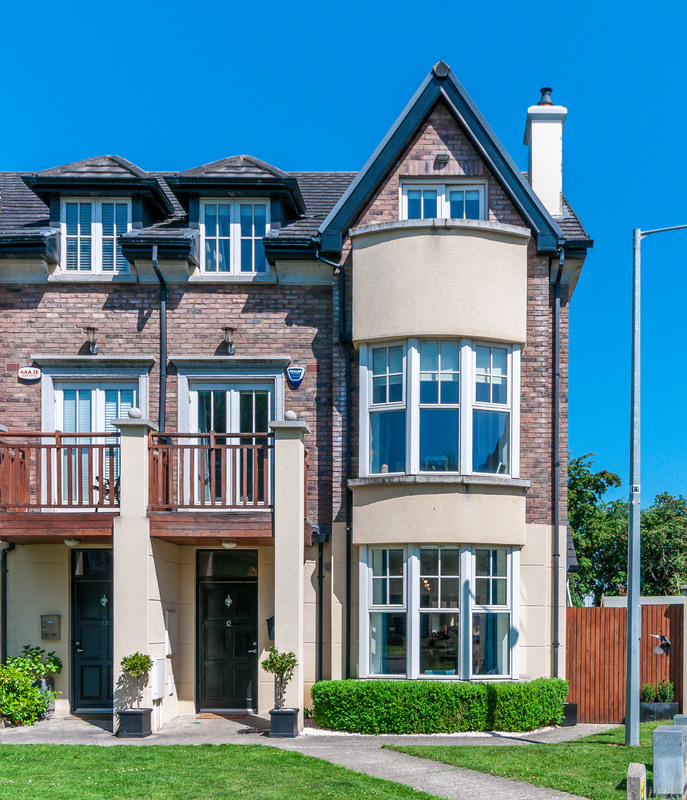 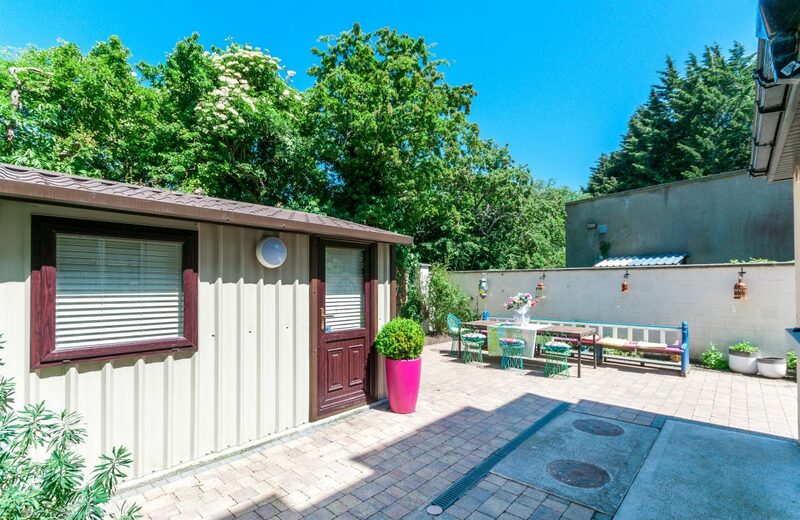 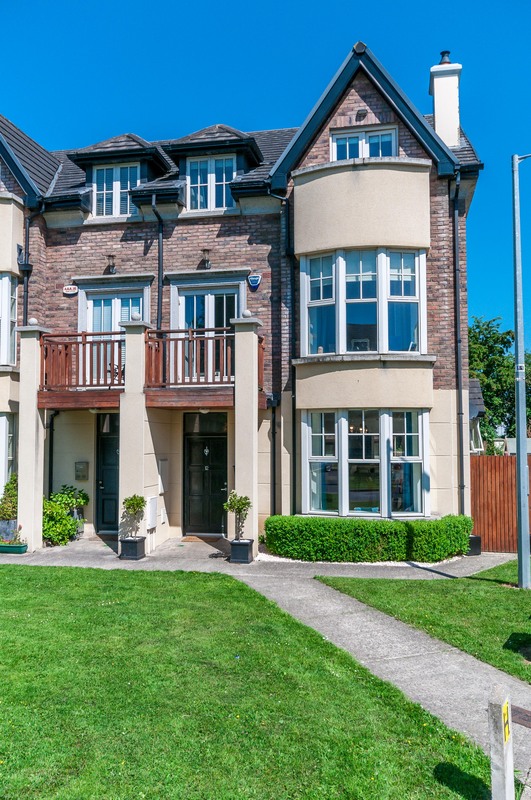 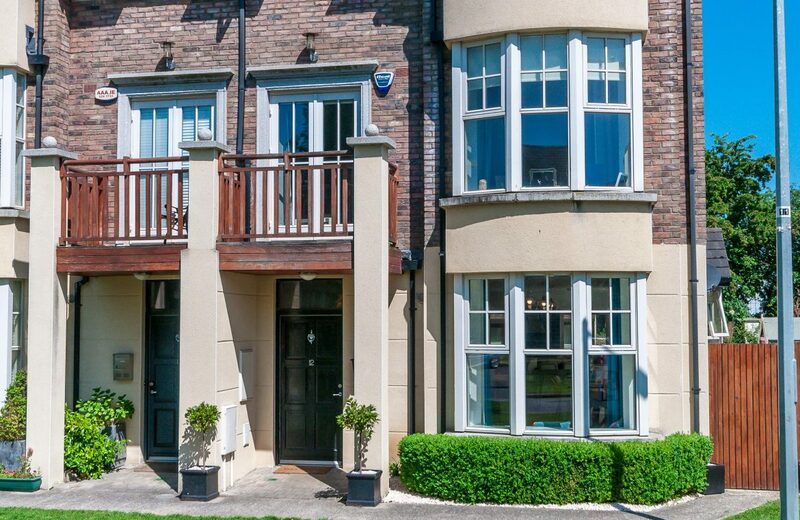 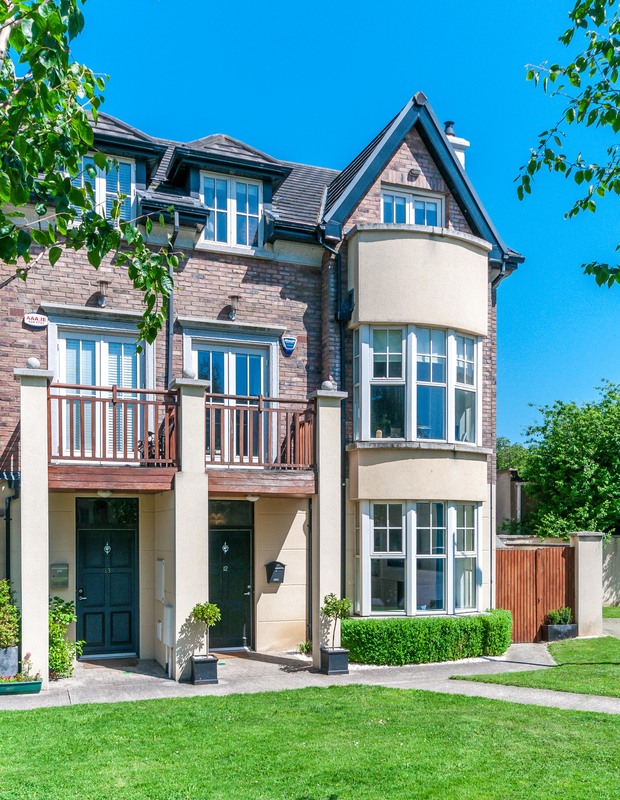 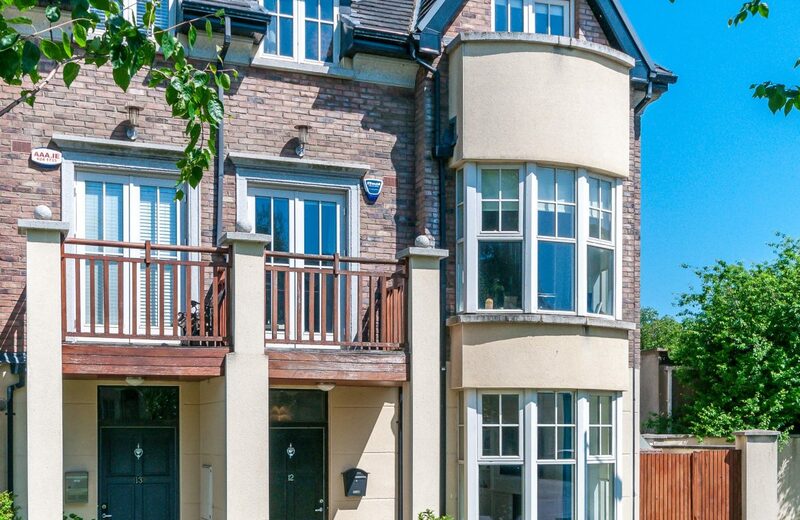 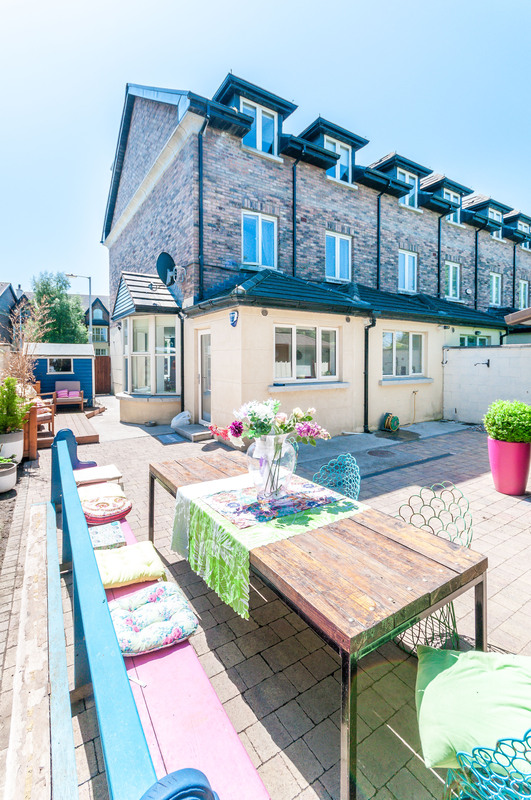 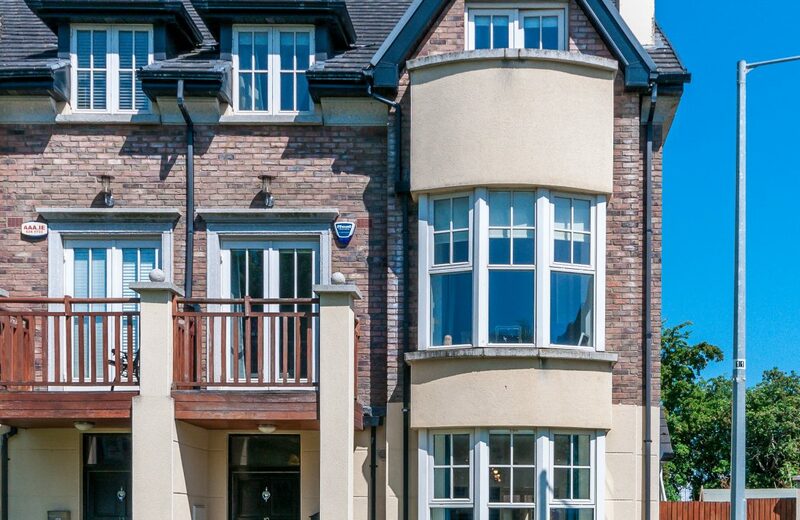 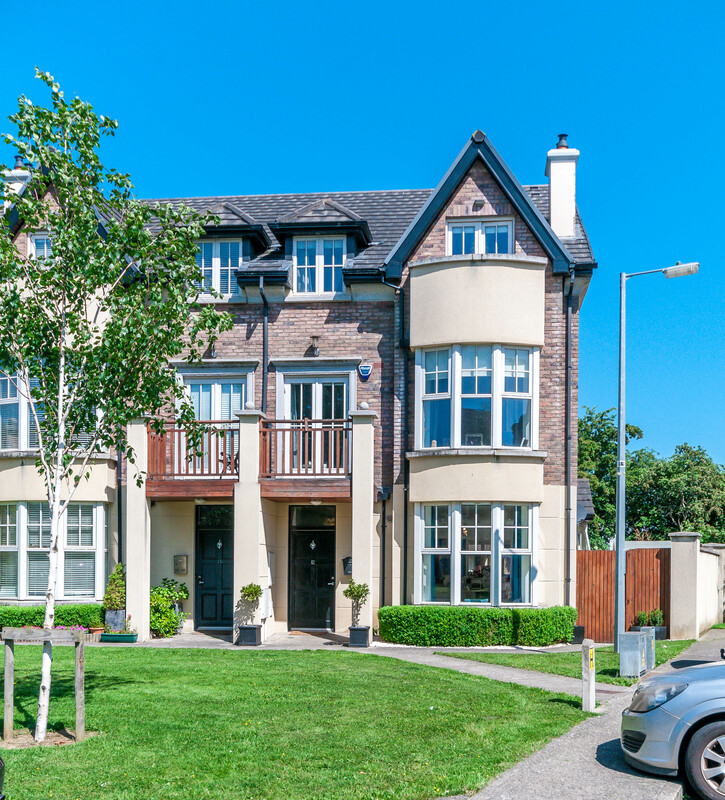 The property is also within easy reach of the Luas (red line) in the nearby village of Saggart, Citywest Hotel & Golf Club, Avoca, Citywest Business Park and so much more. Living Room: (8.9m x 3.69m) tiled floor, coving, electric feature fire, built in storage presses, large picture bay window. 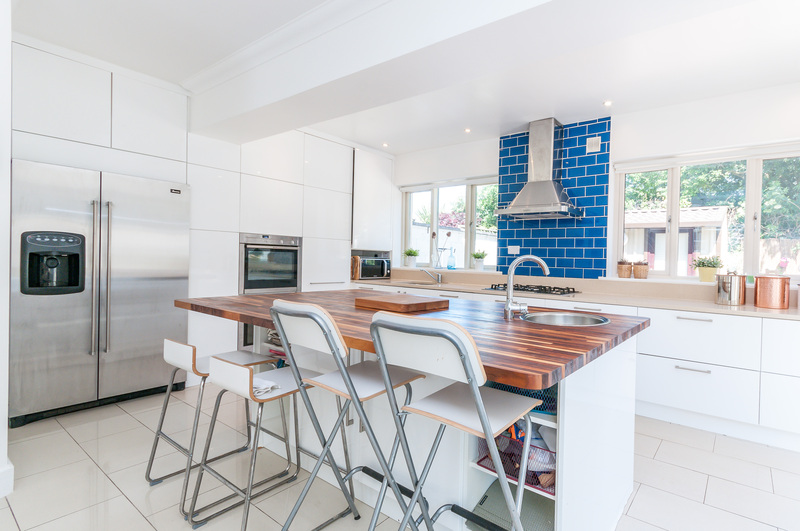 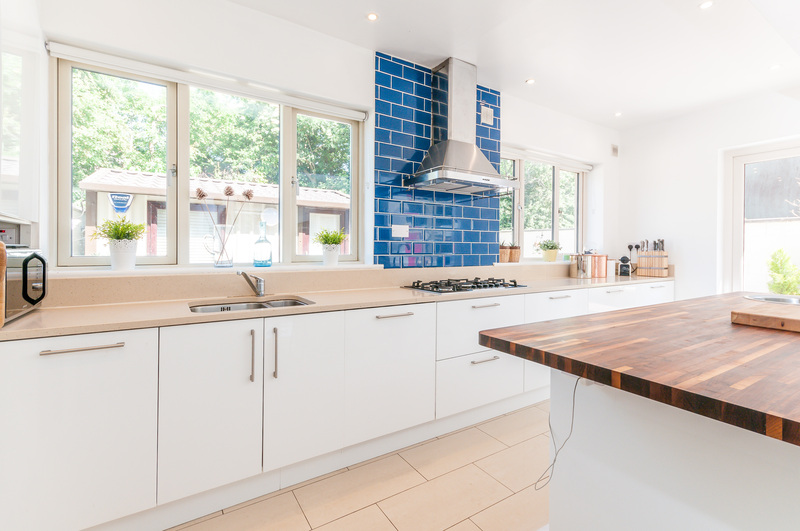 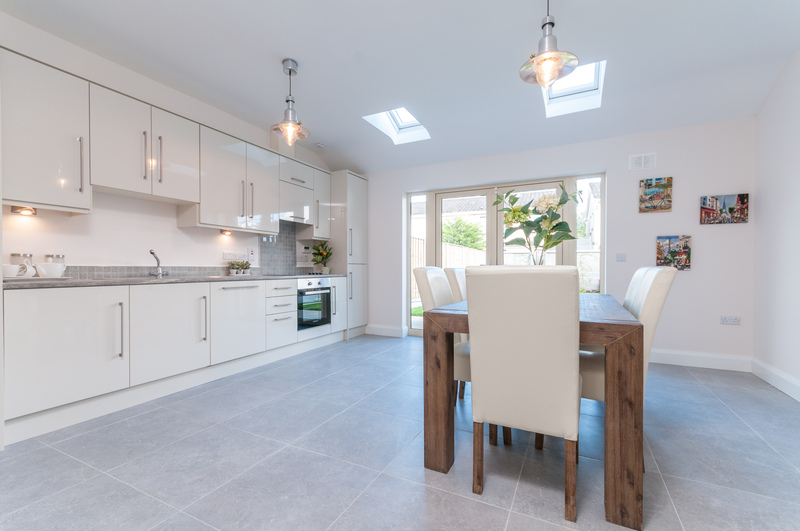 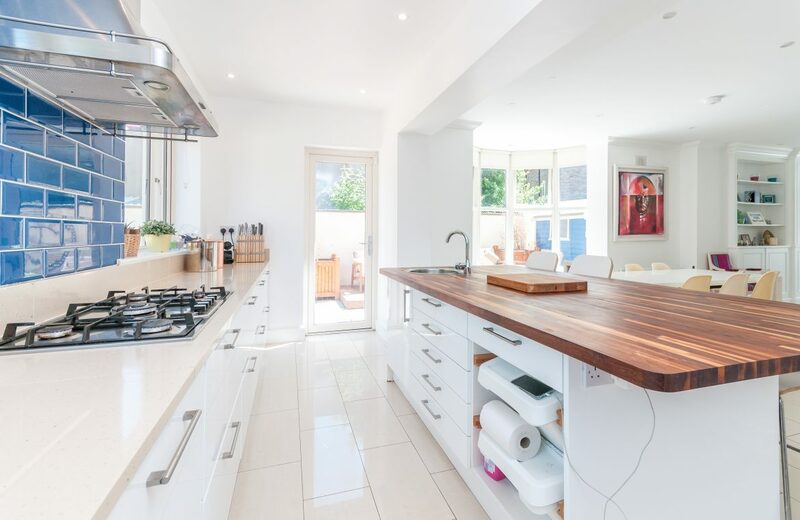 Kitchen: (5.75m x 3.44m), tiled floor, tiled splashback, fully fitted kitchen press units, large kitchen island, built in gas hob, coving, access to rear garden, dining area, picture window. 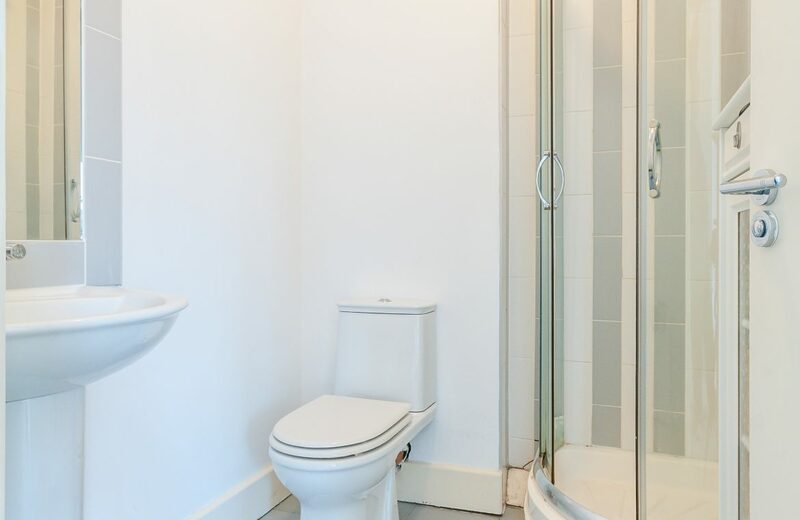 Guest W.C: (1.39m x 1.94m) tiled floor, w.c, wash hand basin. 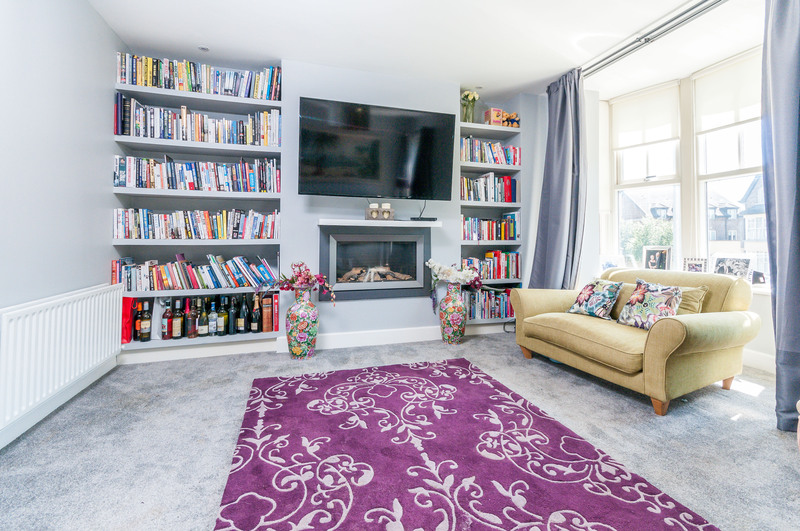 Sitting Room: (3.61m x 5.71m) carpet floor, large bay window, feature fire place, built in shelving, recessed lighting, access to balcony. 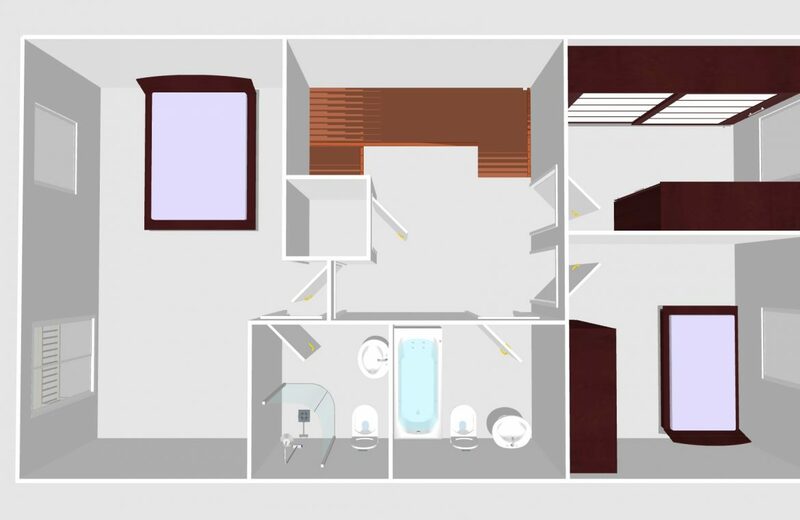 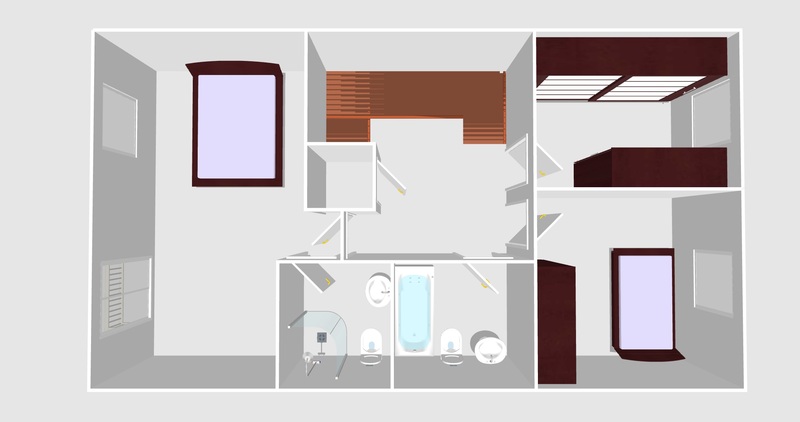 Ensuite: (2.7m x 2.28m) shower cubicle, wash hand basin, bath. 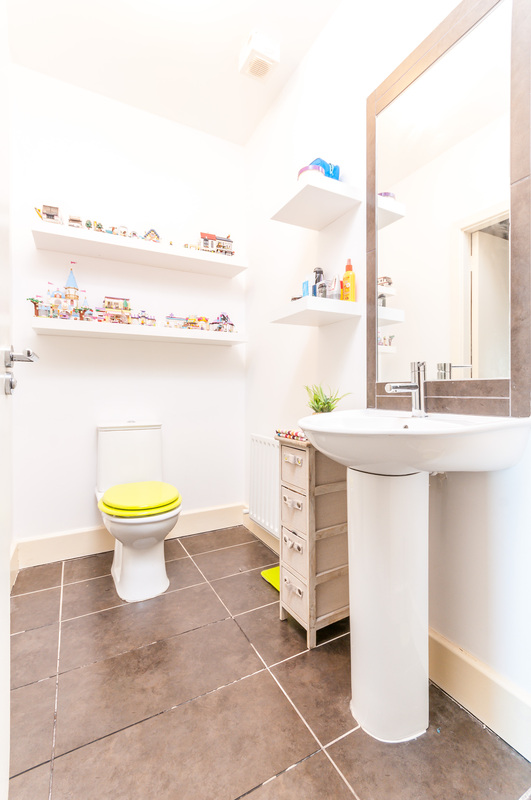 Bathroom: (2.28m x 1.29m) tiled floor, w.c, wash hand basin. 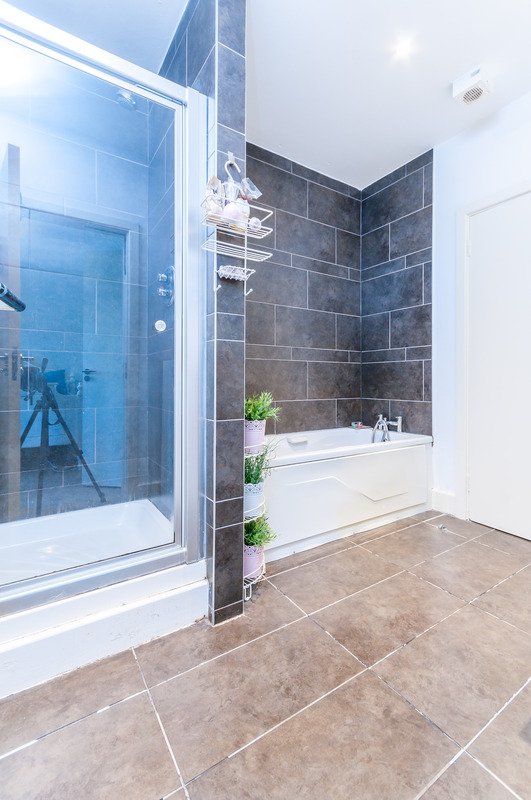 Bathroom: (2.12m x 1.89m) tiled floor, bath, part wall tiled, shower cubicle, bath. 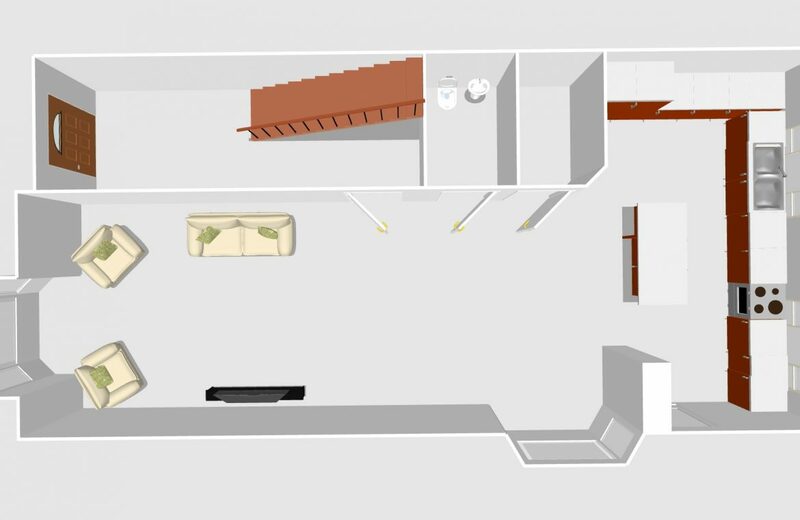 Bedroom 2: (3.19m x 5.4m) carpet, double room access to balcony. 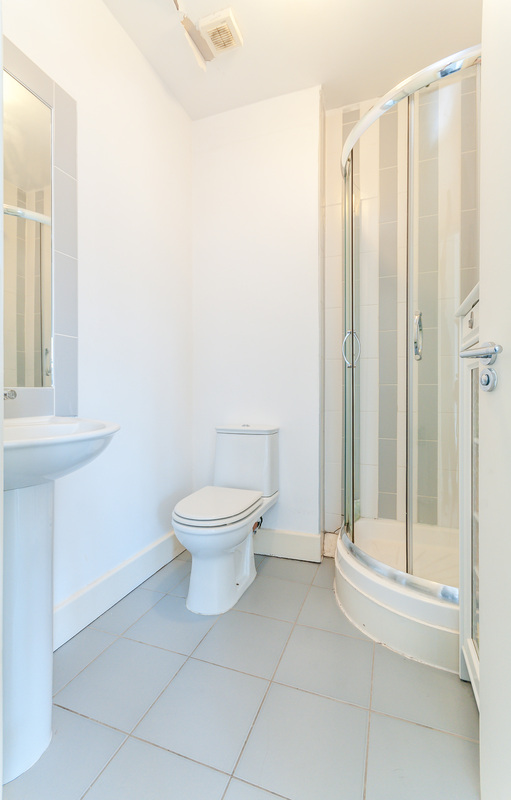 Ensuite: (1.69m x 1.89m) shower cubicle, w.c, wash hand basin tiled floor & part wall tiled. 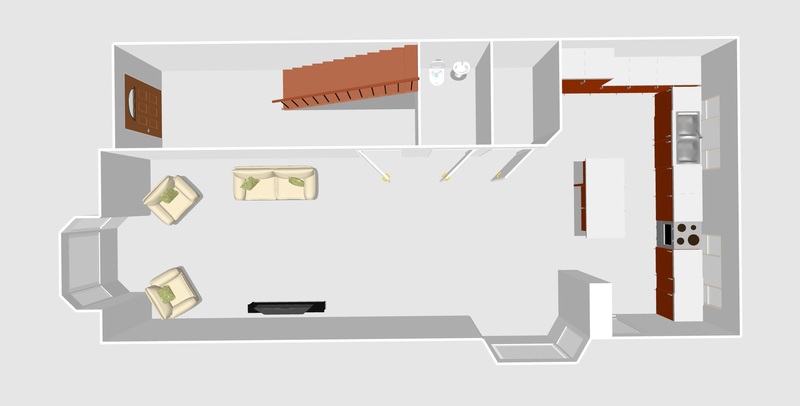 Bedroom 3: (2.39m x 3.10m) carpet floor, picture window. 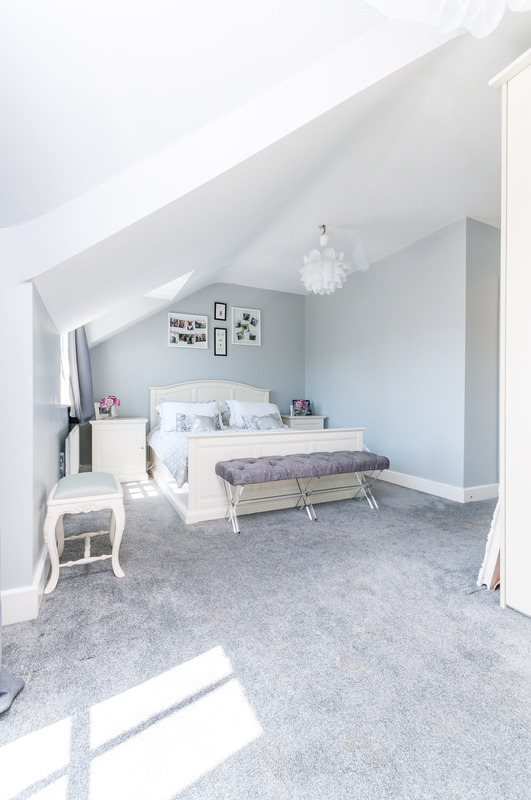 Bedroom 4: (3.10m x 3m) carpet floor, picture window. Rear Garden: cobble stone paving, decking area, barna shed & steel shed.